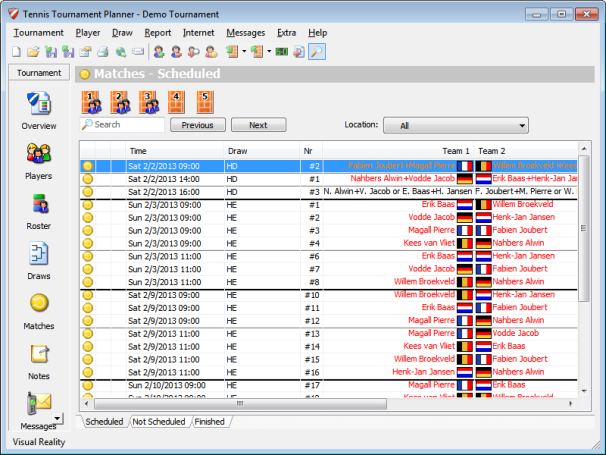 Inside the Tournament Planner you can view every detail of a match in one view. The color is showing if a player has not paid yet, or is warned. You can easy switch from matches with the cursor keys.